A three needle bind off may seem like a crazy invention for knitters with three arms, but it’s actually much the same as a simple bind off. The only real difference is that you hold your two working needles together in one hand, and bind off the stitches 2 at a time with a third, slightly larger needle in the other hand. It’s used when binding off 2 edges of knitting together to create a neat seam. 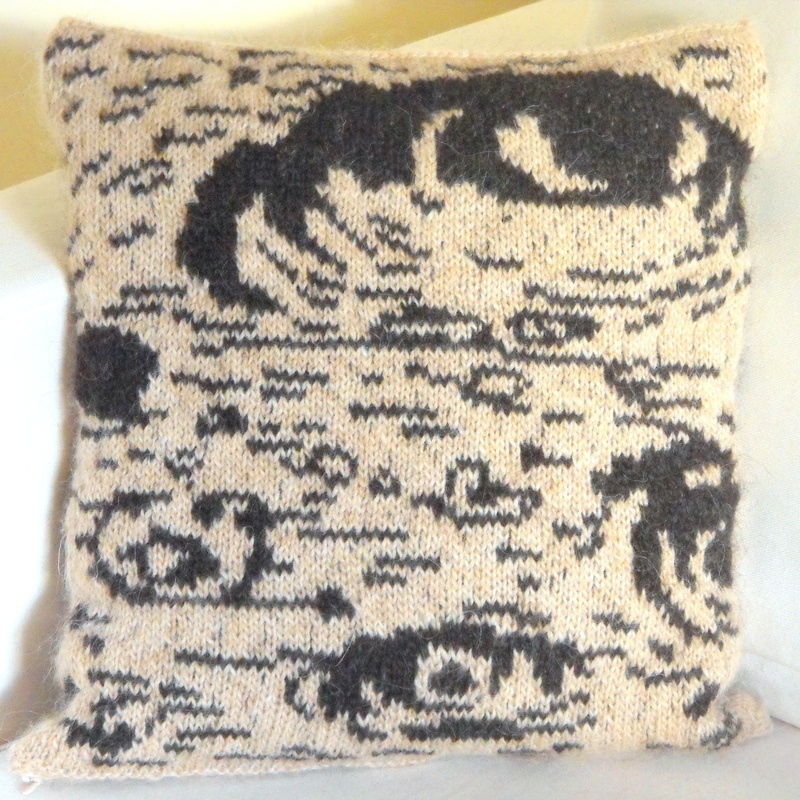 For a nearly invisible finish, make sure you bind off with the right sides facing inwards towards each other. For a decorative ridge finish, bind off with the wrong sides facing inwards. 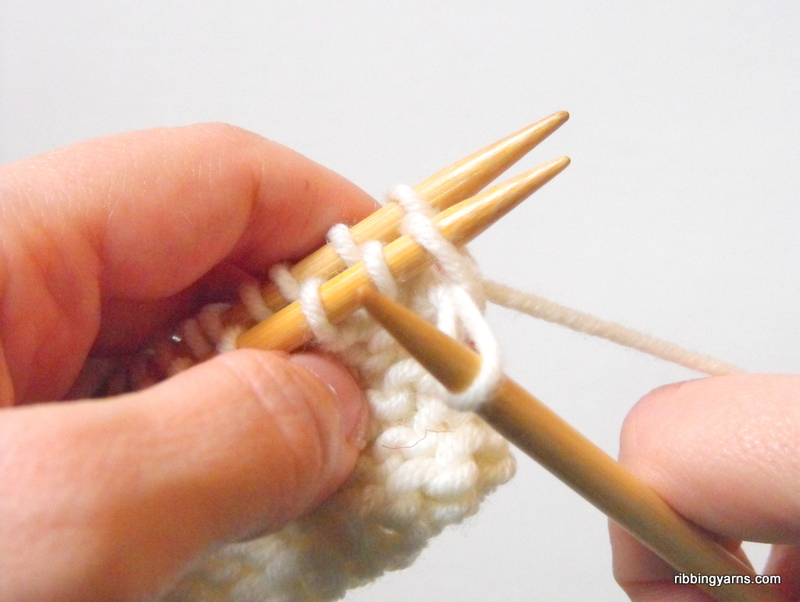 Hold your two working needles together in your left hand. Make sure you have an equal number of stitches on each needle. Remember: RS facing inwards for a nearly invisible seam, or WS facing inwards for a decorative ridge. With your third, slightly larger needle in your right hand, start binding off the top set of stitches (one stitch from each left hand needle). Take the RH needle through the stitches knitwise. 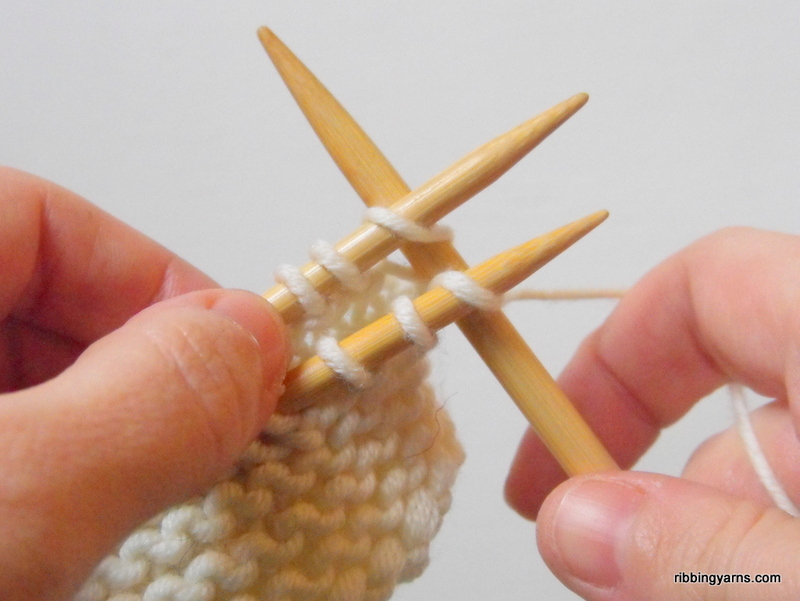 Take the working yarn around the back of the RH needle and down between the RH and LH needles. Keeping a little tension on the working yarn, use the RH needle to bring the yarn back down through the 2 stitch loops. Slip the top stitch of each left hand needle (the stitches just worked) off the needles. Repeat steps 2-5 with the next set of stitches from the LH needles. You now have 2 stitches on the RH needle. Using one of your LH needles, slip the first stitch from the RH needle over the second stitch and let it fall off the needle. In this case I’m using the front LH needle to do this. You now have your first set of bound off stitches! Repeat steps 6-7 until you have bound off all your stitches. Leaving a tail, cut the working yarn and thread it through your remaining stitch. This entry was posted in How To, Knitting and tagged Beginner Knitting, binding off, Cast off, Copenhagen, Craft, How to, How to knit, København, Knitting, seaming stitches, Strik, Techniques, Three needle bind off, Tutorial. Bookmark the permalink. 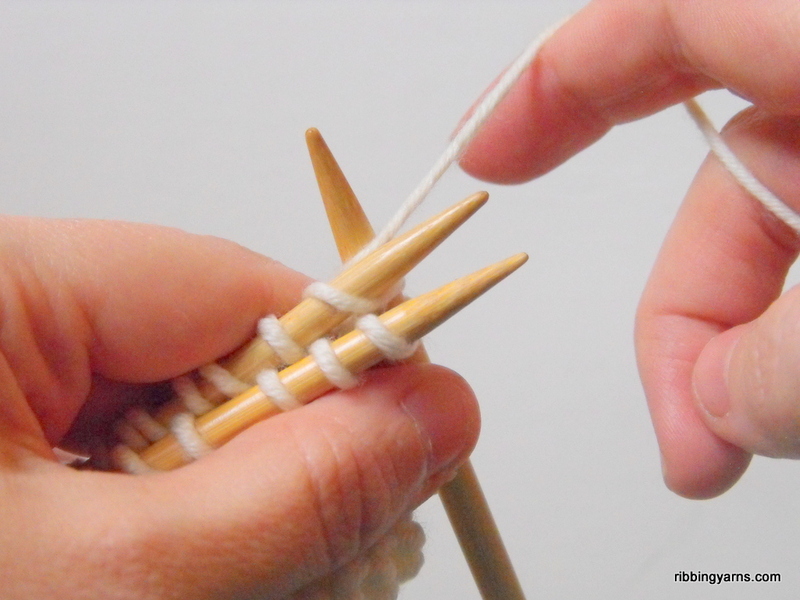 "A three needle bind off may seem like a crazy invention for knitters with three arms, but…"